A key patent that Apple successfully used against Samsung in its multibillion-dollar courtroom brawl earlier this year is at risk following a re-examination by the U.S. Patent and Trademark Office All 21 claims of U.S. patent No. 7,844,915 - also known as the "pinch to zoom" patent -- were rejected by the Patent Office today, following a re-examination. Interesting to see that the US Patent and Trademark Office (USPTO) is finally making some common-sense decisions after the billion-dollar verdict had already been handed down. It's either that, or as they say, that the wheels of justice move slowly - but they do move. If any of these specifications is even near true by itself, it would be pretty awesome. 2.0GHz quad-core CPU? Unreal. And that holy grail of all OLED screen aficionados, the Full HD Super AMOLED display, hopefully with a "+" non-Pentile arrangement. If they could pull that off, itwould be a technical coup of the highest order. After all, Samsung did show that they could pull off a Retina-busting 2560x1600 display with the Google Nexus 10, albeit with PLS tech, so the next logical step would be to do something close to that with AMOLED. 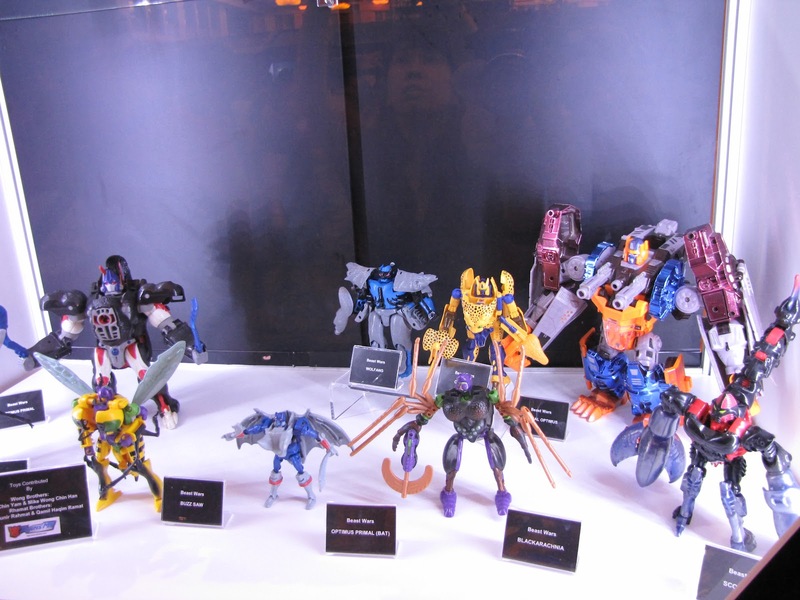 However, these are all early stage speculations. 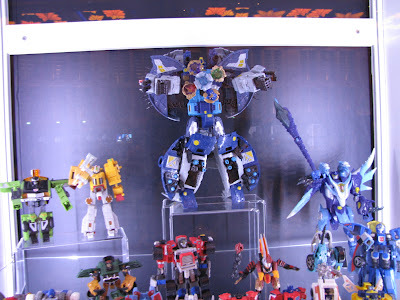 The photo is a purported early rendering as well. We shall watch and see what the actual product specs will be like. 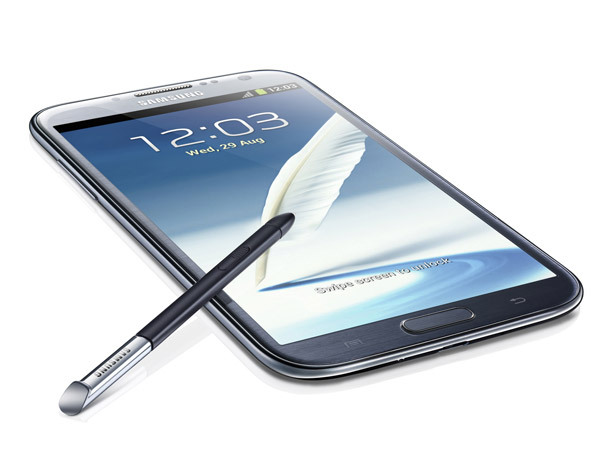 Just had a chat with a Facebook friend, he was asking about turning off the 4G/LTE setting for the Samsung Galaxy Note 2. Though I didn't have a Note 2 on hand, I guessed that with the TouchWiz interface and all, it should be pretty similar to other Galaxy phones in the series. 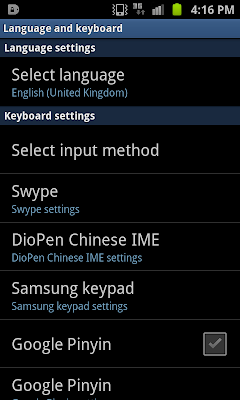 Go to Settings, More ..., Mobile networks, Network mode. 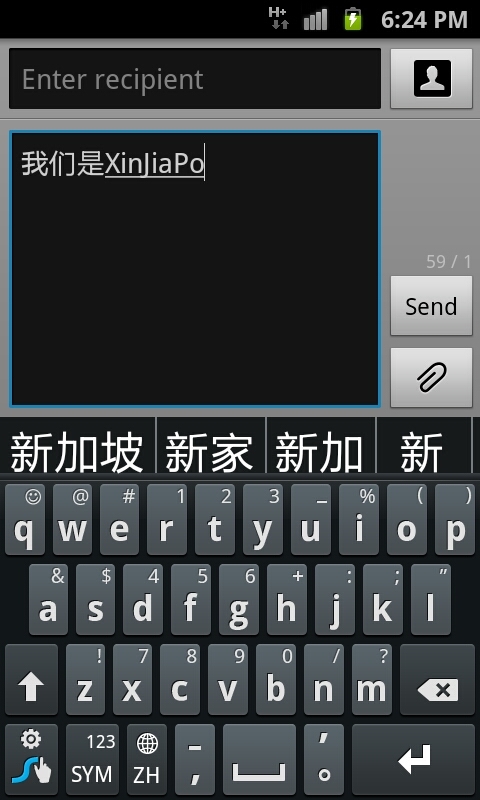 There will be 4 options : LTE/GSM/WCDMA(Auto mode) , GSM/WCDMA and so on. The 2nd option will leave the phone in 3G mode but disable 4G/LTE mode. Mozilla Firefox 14 has a new tab feature which by default shows your most recently visited pages. While this may seem to be a convenient feature, it may be a privacy concern as it shows anyone nearby at a glance what your most frequently visited websites are the moment you try to open a new tab. 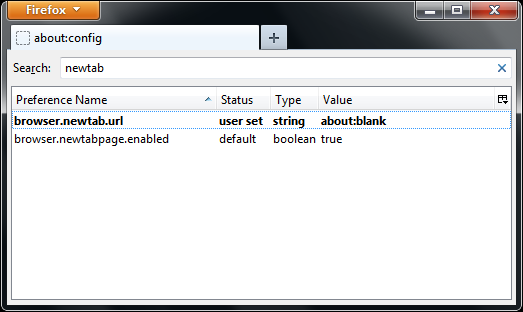 In Firefox, enter about:config in the address bar. Simply click through when asked about "This might void your warranty". No worries about that screen, it's a joke. Firefox is a free software so you don't get any kind of warranty actually. Search for the newtab setting by simply typing "newtab" in the search box (as shown in the screenshot above). Double-click on the setting browser.newtab.url and set it to about:blank which gives you a blank page if that's what you want. Optionally, you can set this to any other homepage you like. In Firefox, enter about:config in the address bar (or remain in the config page if you're already there). 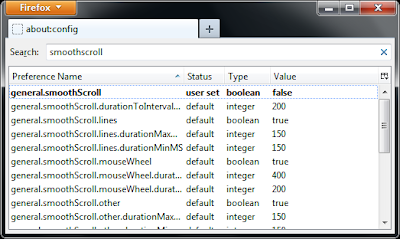 Search for the smooth-scroll setting by simply typing "smoothscroll" in the search box (as shown in the screenshot above). 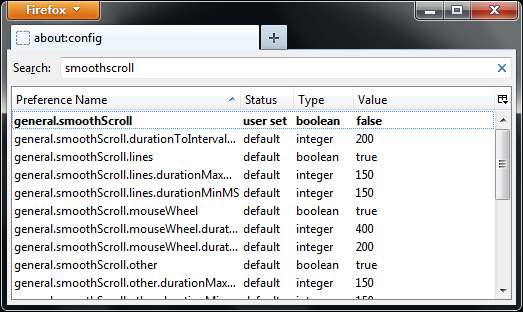 Double-click on the setting general.smoothScroll to set it to false. (Update : this works for later Firefox versions as well, so far it's worked fine with Firefox 15 and Firefox 16). Recently I've been looking at a Firefox color management problem. 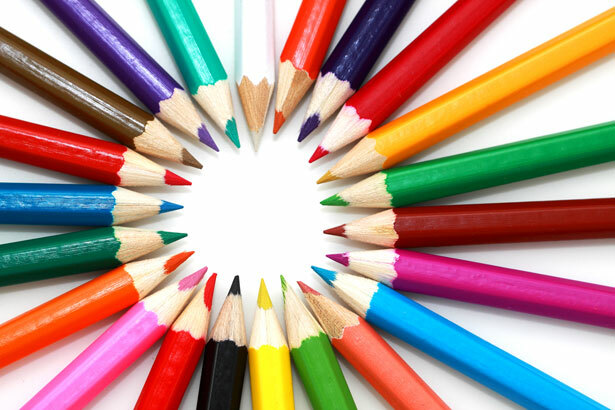 Certain colors on websites seemed to be off, especially white backgrounds that looked like they had a yellowish tinge. The issue was encountered on Mozilla Firefox 11.0 but I've actually been having this issue for quite some time already. This problem seems to affect only a small proportion of Firefox installations out there. Among my machines, which include 2 desktops, 3 laptops and another from the office, only one of the machines seems to have been affected. Apparently the issue had been there since Firefox 3.5 where color management was enabled by default, but I did not notice the colors were off until some time after the graphics drivers were updated. It could be due to that, but I couldn't be precisely sure that it was the cause. 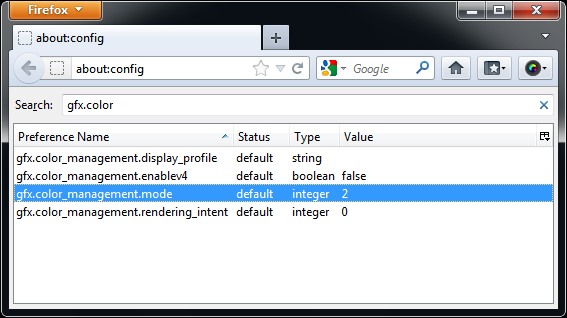 In the Firefox address bar, enter "about:config" (without the quotes), as in the screenshot above. There's a warning about "This might void your warranty!". Having paid exactly zero dollars for your software, there actually isn't any in the first place, so click on the "I'll be careful, I promise!" button. Now do a search for the color management setting. Simply type "gfx.color" to start searching for the property name. Double click to change the setting from 2 to 0. Color management will be disabled and the colors should hopefully look normal now. 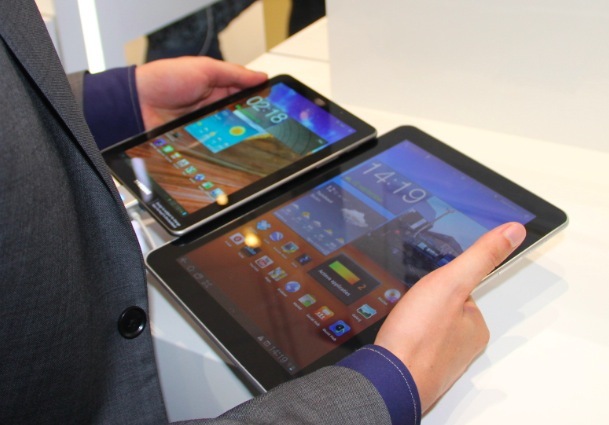 So you have a rooted Samsung Galaxy Tab 7.7. And for some reason you wish to reverse the process and unroot it. Perhaps you need to send it in to a service center for a warranty claim. 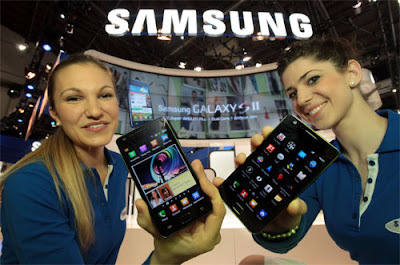 Or simply you wish to restore your device back to its original state in order to do an official firmware update via Samsung Kies or OTA (over-the-air). Look for the file Kernel_P6800DXLA2.tar (do a search for it). Run Odin. This assumes you have Odin v3 1.85 installed on your PC. If you have followed the rooting and CWM Recovery installation instructions earlier, you should already have it. Turn off and then turn on the tablet in download mode. Hold down both the Power and Volume Down buttons until the tablet turns on, and keep both buttons pressed until the download screen comes up. 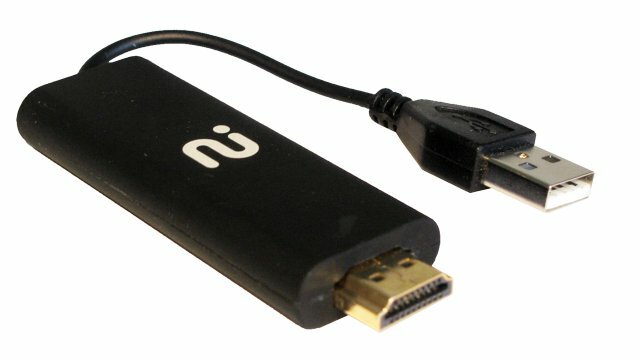 Connect your Galaxy Tab 7.7 to your PC via the USB cable. In Odin, click on the PDA button, and select the file Kernel_P6800DXLA2.tar downloaded earlier. Click Start, wait a few seconds for the kernel to install and the tablet to reboot. You will lose root access (of course). Apps which require root access to run will obviously no longer work (such as Titanium Backup as mentioned in the Top 10 Reasons to Root list). You will lose CWM Recovery. The SDcard write problem fix should still remain fixed, since root access was required only for a one-time change to the permissions file. Your binary counter should not increase since you are flashing back to the original stock kernel. If you are on another ROM for a different region, then you can go to the original firmware sources thread on XDA, download the appropriate firmware for your region, extract the zImage file like I did, and create a .tar file for Odin to install over to your device. 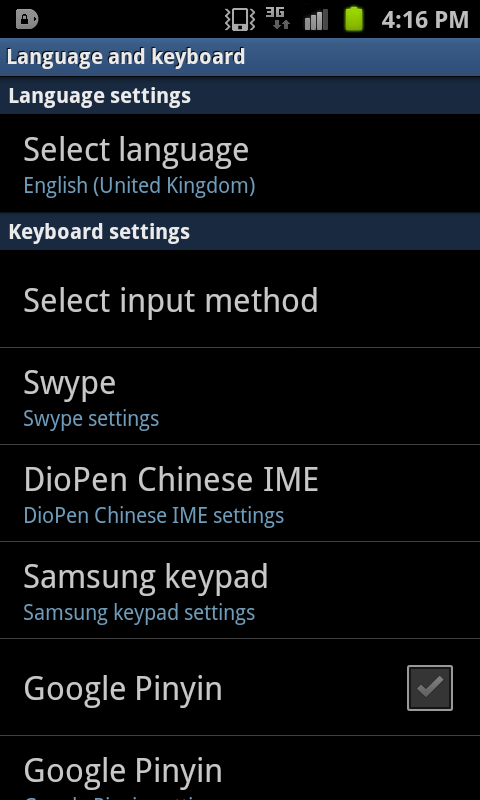 Some of you may have heard of it in whispered tones : "you can do this (or that) if you would only ROOT your phone". You might wonder what is this "root" thing and what it might do for you. Well, the term "root" comes from the "root user" in the Linux operating system, which Android is based on. The root user has super-user privileges on the system and is able to do practically anything and more or less make any changes he or she likes. In short, it allows you to do a number of things that is beyond the reach of ordinary users. Benefits of rooting may range from the ability to fully customize your device, add features, work around limitations, or even fix existing bugs or issues in the system. Apps and data backup - This allows you to backup every app on your device, including the data that the app uses. Generally, you need root access to do this because by default, each app only has restricted access to its own data, and by all rights should usually not be allowed to access or mess with other apps. One of the best backup tools available on Android is Titanium Backup Pro which naturally, requires root access to work. 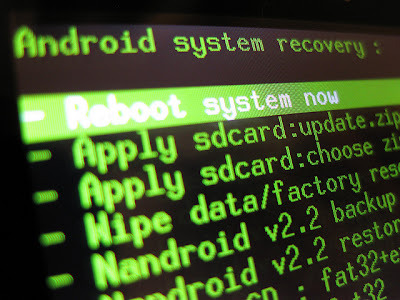 System image backup - This allows you to make a backup image of the entire Android system, including the bootloader, firmware and all installed system apps. This is in case a custom firmware installation goes wrong, or if some app misbehaves in an inexplicable way and you need a way to revert to a working copy. It's something like what Norton Ghost or Acronis Trueimage do for Windows PC's. The usual method to accomplish is this via CWM Recovery (also known as ClockWorkMod Recovery), but do note that the installation method is very much device-specific and varies between different models, and even between 3G and Wifi-only models. The root and CWM Recovery installation process for the Samsung Galaxy Tab 7.7 has been described in an earlier post here. Worldwide navigation - the default Google Maps bundled with most Android devices only has turn-by-turn voice-guided navigation enabled for a handful of countries, such as the US and Canada, and some European countries such as France, Germany, Italy, Switzerland and the UK. 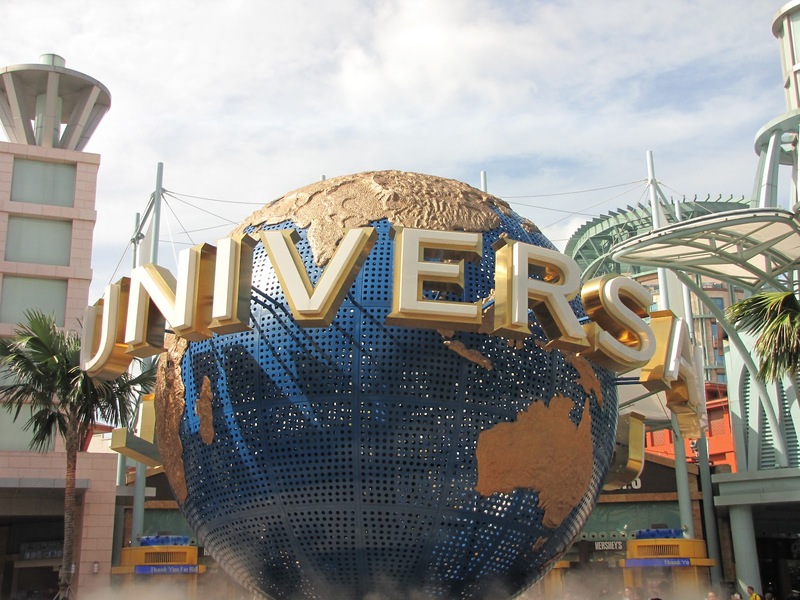 Outside of these countries, such as most of the Asian region, users who wish to have this feature need to use a modified version of Google Maps that has worldwide navigation enabled. Root access is required to uninstall the bundled Maps app before installing the modified version. SDcard write problem fix - some apps, in particular file managers and compression utilities, have write problems with micro-SD cards in Honeycomb tablets. This is related to a permissions issue and is described in further detail here. As system files need to be modified, root acess is required to fix this issue. Support for large files - if you need to copy large files like movies and such into your SDcard, you may encounter limitations since by default SDcards are formatted with the FAT32 filesystem which restricts file sizes to below 4GB. To be able to utilize files larger than that, you will need to format the SDcard to NTFS and install Drive Mount, which is able to mount NTFS volumes, with an option to auto-mount upon bootup. On-the-fly file encryption - the more security-minded amongst us know to secure our data with file encryption, and that truly transparent, real-time, on-the-fly encryption (OTFE) is one of the better ways to achieve that (as opposed to single file encryption which is slower and not as secure). The reference software for this in the Windows domain is Truecrypt, and the closest implementation so far in the Android world is LUKS Manager, which provides OTFE capability using AES encryption. 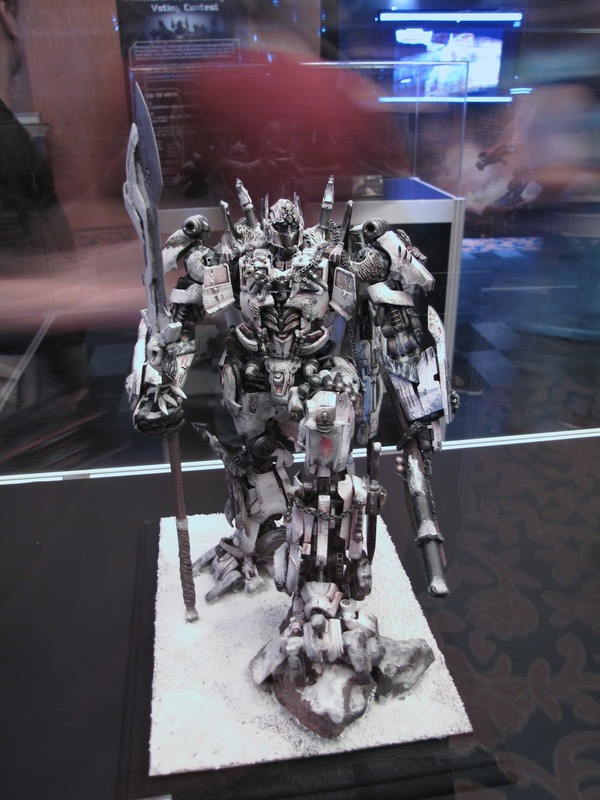 Running Tegra 3D games - if you are into 3D gaming on Android you might have run into the fragmentation issue : some games are available only on certain models of phones or tablets that have a certain graphics chipset. Most commonly encountered are the cases where the games are built for the Nvidia Tegra chipset and the user has a Galaxy series device which uses the Mali chipset instead. This is where Chainfire 3D comes to the rescue, acting as a proxy between the gaming app and the hardware, translating OpenGL calls for the Tegra chipset into equivalent instructions for the Mali chipset. Root access is required because this involves low-level system function calls. 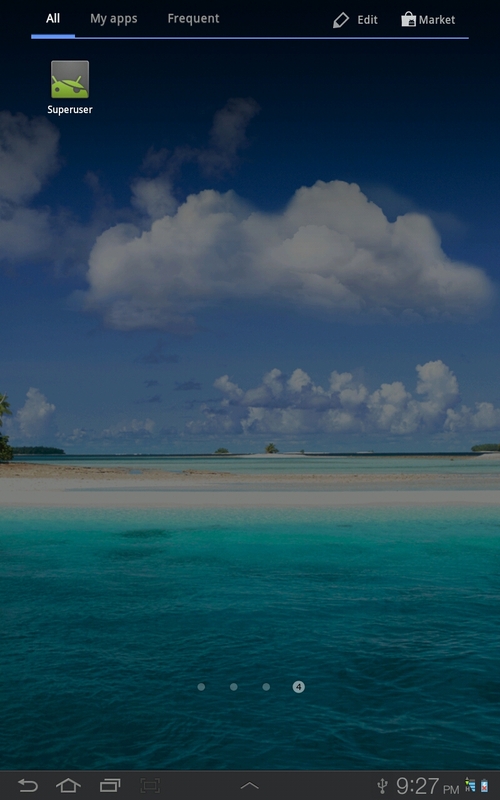 Remove status bar on Honeycomb tablets - instead of hard buttons, Android tablets running Honeycomb nowadays have soft buttons on an always-present status bar at the bottom of the screen. And then there are some people who are distracted by it, say, when watching movies, and wish to remove even that entirely. This can be done via the Honeybar app. 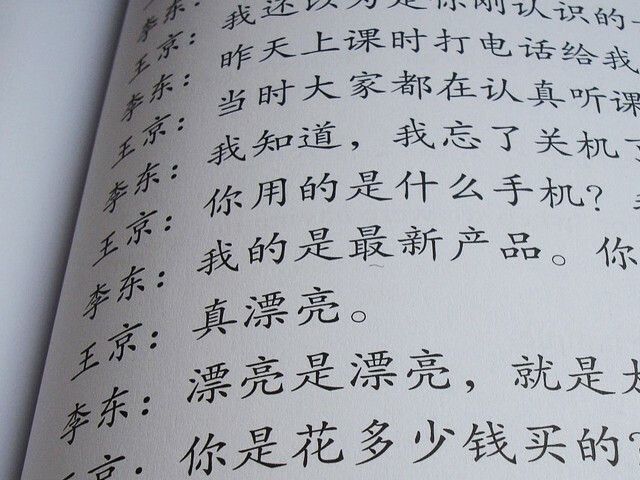 Alternative system fonts - one thing that those who wish to really customize their devices can do is to change their system fonts. The Root System Font Installer app lets users choose from over 200 system fonts, which together with custom homescreens and widgets, will enable you to put together a truly unique look for your device. User profile switching - one of the bugbears facing some Android users is that there is no obvious built-in way to switch between different user accounts and profiles, the way Windows users are simply able to do at the click of a button. This shouldn't be the case as Android is built upon Linux which *is* a multi-user operating system. The SwitchMe Root Profile Manager app takes care of this little shortcoming. Your device may be bricked if something goes wrong during the rooting process. There are 2 main types of bricking. A soft brick can still be recoverable by re-installing a fresh copy of the original firmware. 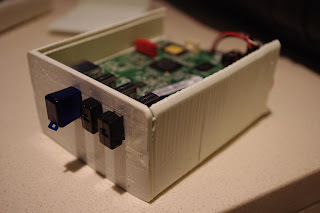 A hard brick is a bit more tricky to deal with, requiring either a special "USB jig" to reset it - or a visit to the service center, which brings us to the second point. There is a risk that you may void your warranty if you have rooted your device, and then you subsequently encounter some problem, and bring it over to the service center for repairs. Of course for devices over the warranty period this is a moot point, and there have been a number of cases where rooted devices are still being accepted for warranty repairs, but for some this could be a serious consideration. The automatic updates provided by the PC-side software such as Samsung Kies typically check for the signatures of the installed kernels and ROM's, and on rooted devices, these software may block automatic updates of new firmware revisions. 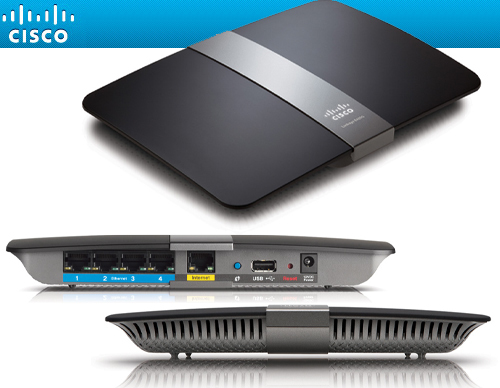 This may be a consideration for those who wish to have a seamless upgrade experience. For those who regularly dabble with Odin or Mobile Odin, CWM Recovery and such, it probably isn't that much of an impediment to download and install the updated firmware manually. If all you want to do is to install apps outside the Android Market (or known as Google Play Store nowadays), you do not need to root your device. All you have to do is to go to Settings, Applications, and check the "Unknown sources" box. That's it. There is no need to root an Android phone or tablet to install apps from alternative sources, unlike Apple's iPhone and iPad where you need to jailbreak the iOS device just to have this capability. So these are the top 10 reasons to root your Android device, and 4 reasons to perhaps not to. 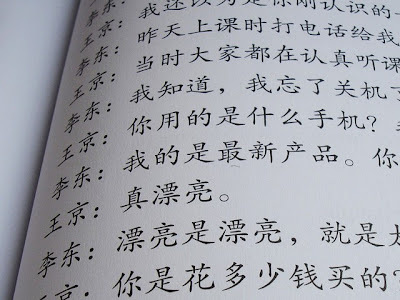 As for the actual mechanics of rooting the device, the instructions for each specific model of mobile phone or tablet are slightly different. 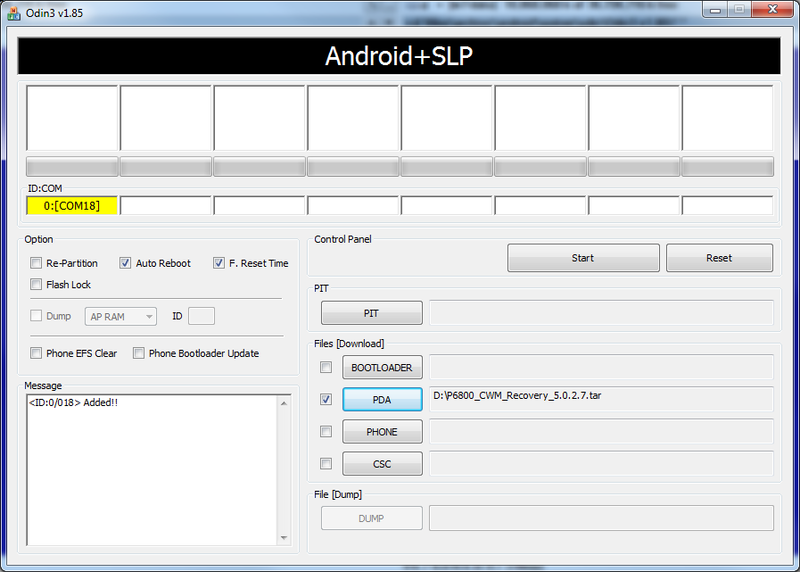 For detailed instructions, you can head over to the XDA Developers forums and look for your model. In particular, the instructions for the Samsung Galaxy S2 are as described in this thread, and the Samsung Galaxy Tab 7.7 rooting instructions have been posted here earlier. 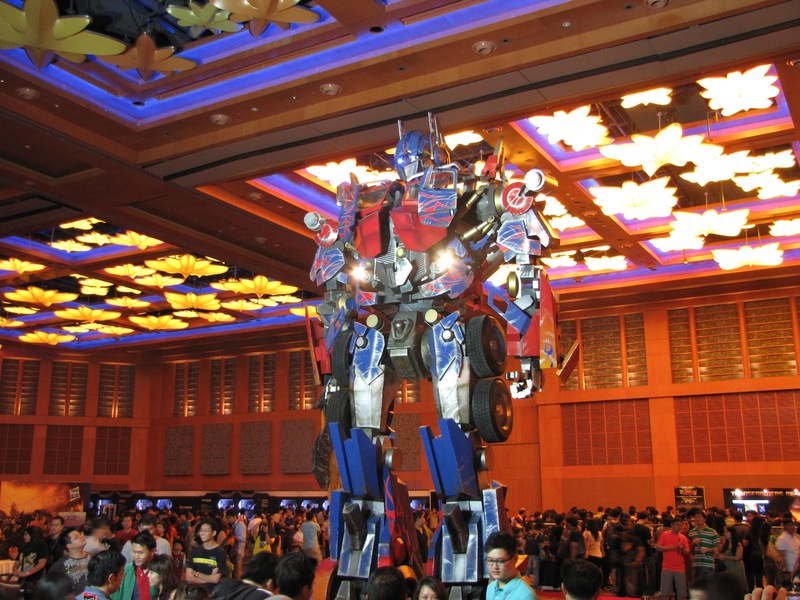 Whenever there are school or public holidays coming around, many Singaporeans will head over to Malaysia for vacations, whether self-drive, or taking bus/coach to places like Malacca, Genting, Kelantan or perhaps via a plane trip to Kuala Lumpur or Penang. And one of the first things that we look out for (besides food of course) would be prepaid mobile broadband access. For the past few holidays that we have been travelling to Malaysia on driving holidays, we have alternately tried out the prepaid mobile broadband packages from Celcom Xpax X2 and Maxis Hotlink. The following is a review of the experiences we have had on these two providers. Celcom claims to have the widest mobile coverage in Malaysia. Based on our usage that seems to be a reasonable claim. The catch is that they did not say at what speed that coverage is supposed to be at. Actual transfer speeds we experienced were usually less than 10 KB/sec and sometimes as low as 1-2 KB/sec, which really does kind of stretch the definition of "broadband" somewhat. At these speeds, it was hardly useable even with images turned off. Apparently Celcom had clamped down prepaid broadband speeds to EDGE or 2G mode only. We managed to find a Celcom Blue shop in Malacca and asked the counter staff about this, as we saw an iPhone 4 demo unit running in 3G mode. They confirmed with us that 3G speeds are only available to postpaid customers. Not quite sure whether this is an "official" reply regarding policy, but our experiences seemed to agree with this. Maxis on the other hand stated upfront that their prepaid mobile broadband speeds would be up to 384 kbps. We tried out Maxis Hotlink after putting away the Celcom card, and in practice we managed to get actual transfer speeds of 30-40 KB/sec over 3G, which is close enough to the claimed 384 kbps. This was seen both in the Huawei mobile broadband software and over on Speedtest.net testing. Speed-wise, it was fast enough for casual surfing and browsing, though you would still want to think twice about downloading larger files, or using anything that is more bandwidth-intensive. Youtube videos loaded okay, just don't expect to be able to enable the HQ or HD options though. Coverage-wise, Maxis Hotlink was quite good, and we achieved 3G speeds around the hotels and shopping malls in Malacca, and even along stretches of the North-South Highway. Availability-wise, Maxis Hotlink 3G SIM cards and packages are starting to become available at more places, especially along the crucial North-South Highway E2, where they have opened up more counters recently at rest points in recent months. You would find Celcom Blue being sold at one rest station, and there would be a Maxis Hotlink counter at another station down the road. If there is one thing that could be improved with Maxis, it's that the language option of their SMS menu system defaults to Malay, which immediately befuddles all of their foreign customers who do not speak the language. Other than that small issue, Maxis probably offers the best value proposition in prepaid mobile broadband for Malaysia so far. As for Digi, we have not tried it out personally, but based on reports from forum users, it is supposedly somewhere in between Celcom and Maxis, hovering around 10-20 KB/sec in typical urban locations. Good reviews from fellow forummers and users are one thing, but on the other hand, the 3G SIM cards or broadband packages for Digi are apparently harder to come by. Perhaps the lack of availability of Digi's 3G SIM cards is due to an as-yet under-developed retail distribution network. With time, we hope that for the continued development of broadband services in Malaysia, Celcom would enable full 3G access speeds for pre-paid customers, for Digi to improve their speeds and retail distribution channels, and for Maxis to default to English menus or at least provide an easy way to switch to English for their foreign customers travelling to the country. Back from attending my first Transformers convention, conveniently held not too far from home in sunny Singapore. 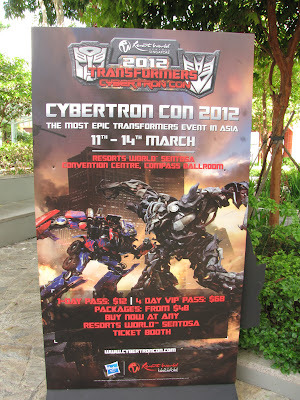 Here are some photos from Cybertron Con 2012, held at the Resorts World Convention Centre at Sentosa. Poster near the venue, in the public outdoor area. Nice scene that might not be out of place in a movie. 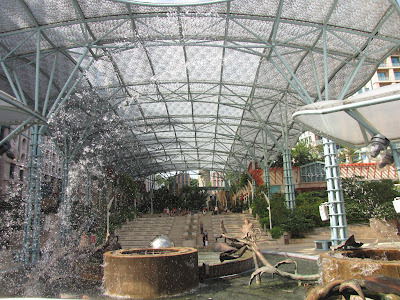 Still at the public outdoor area. Fantastic view. One level down to B1 into the air-conditioned area (see the aircon vents in the background?). This place is much cooler compared to Level 1 which is admittedly downright hot in the tropical Singapore climate despite the huge transparent coverings over much of the area. Perhaps they could have domed and air-conditioned the whole place, no? 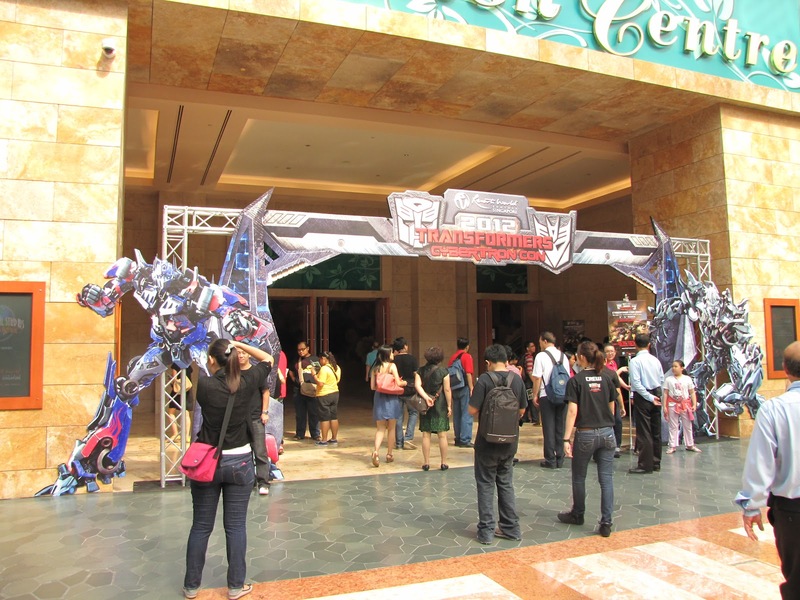 Entrance to the Resorts World Convention Centre where the event is being held. 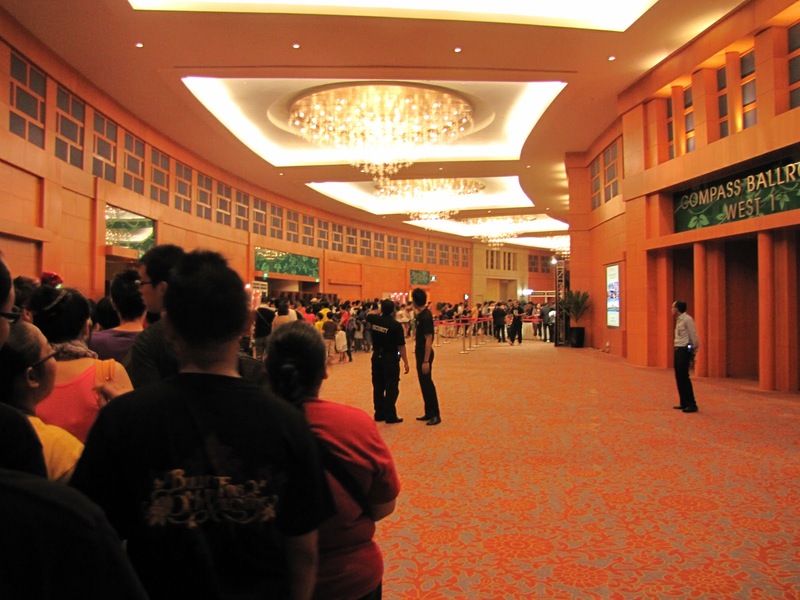 People queuing up to get in. Pretty long queue. 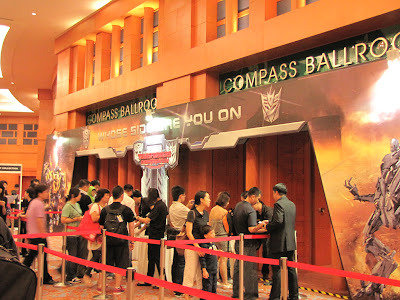 Lots of Transformers fans over here in Singapore. After some time queuing, the entrance to the large convention / ballroom is finally reached. 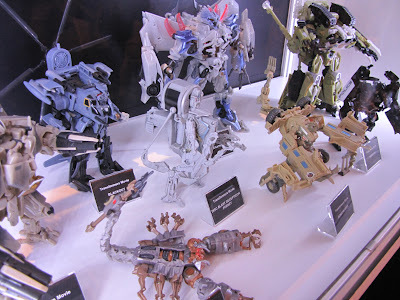 In there, visitors walk through 28 years worth of Transformers toys, from every known series starting from Generation 1 (G1), to G2, Energon, Armada, Cybertron, Robots in Disguise, Beast Wars, Beast Machines, Transformers Animated, Prime, the live-action movies series, Transformers to Revenge of the Fallen to Dark of the Moon (anything left out?). Pretty impressive collections in there. Close-up of Optimal Optimus from Beast Wars. 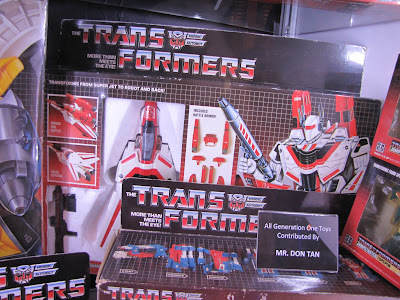 Already rare and expensive when it first came out, close to impossible to find nowadays. 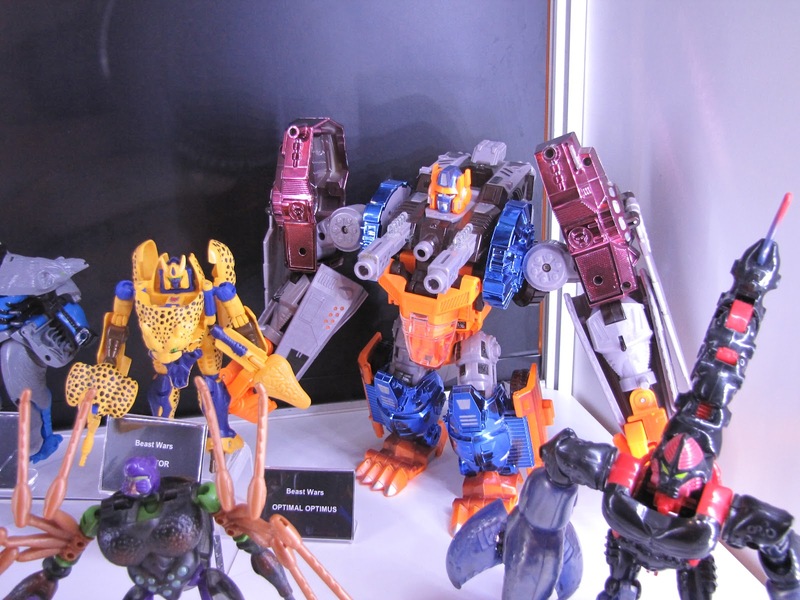 Jetstorm from Beast Machines. Another hard to find one. Unbelievably, this one is still mint in the box. The confused case, known variously as Skyfire, Jetfire, the Robotech VF-1 Veritech transforming variable fighter, aka Valkyrie in the original Macross saga, and this even has its place in the Battletech world, where it is known variously as Wasp, Stinger, Pheonix Hawk and Crusader. 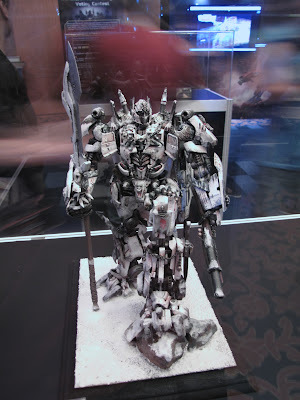 Primus from the Cybertron series. Believed to be the only case so far in any series where they have released a Primus that transformed into Cybertron itself. Moving on to the more familiar and recent Movies series. 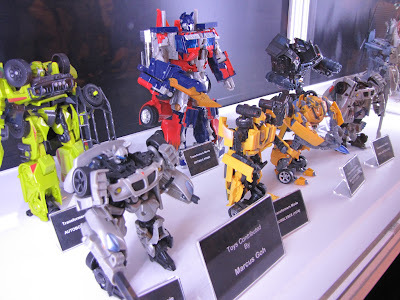 Many people have many of these models, with all the popularity and attention drummed up by the 3 recent live action Transformers movies. More Movies series. 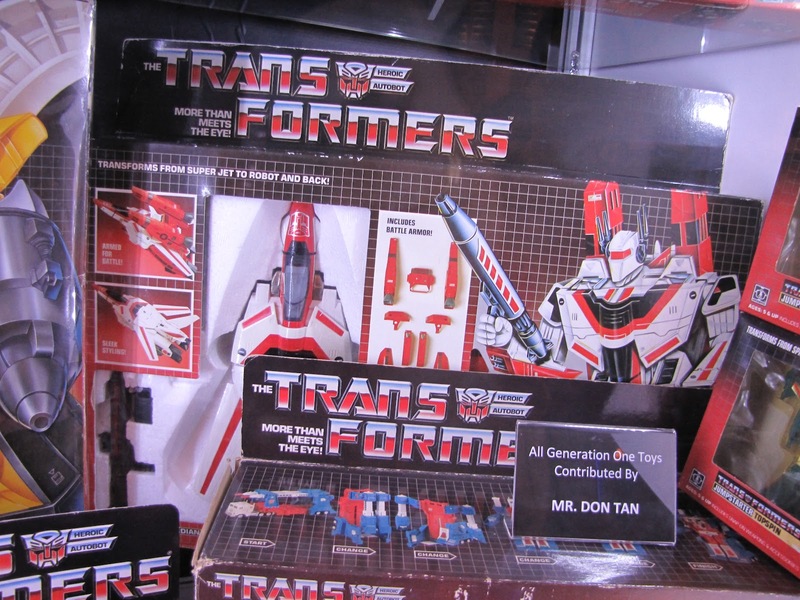 The original release of Bonecrusher is increasingly rare nowadays. 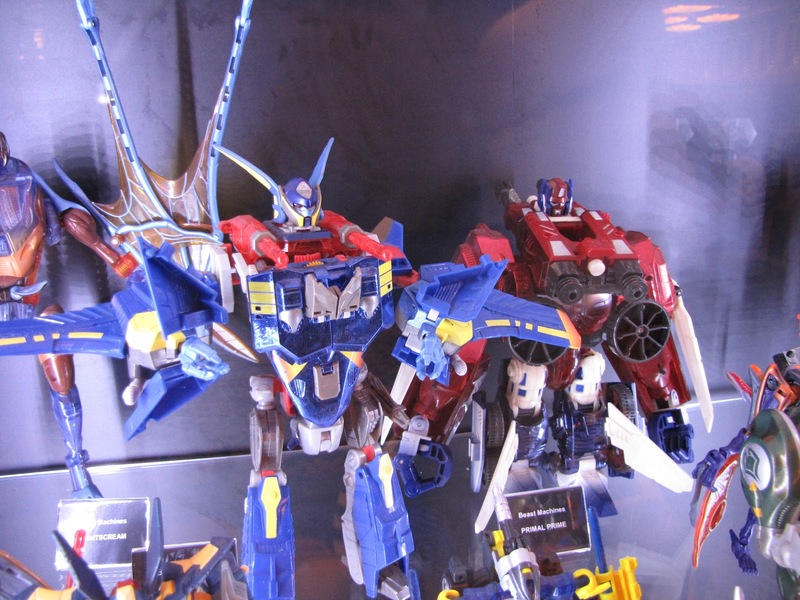 There were a number of re-paint jobs done after that, but they all looked significantly different from the original. Moving on to the custom artwork section. This is quite nicely done. One Shall Stand, One Shall Fall, from Dark of the Moon, where Optimus Prime defeated Sentinel. White balance is always tricky in an indoor setting, particularly at the Convention Centre with all the soft, dim yellow lighting emanating from the distant ceiling. Fortunately most (all?) Canon cameras come with a custom white balance function, so all you have to do is to select an area *that ought to be white*, sample it, and it smartly auto-corrects the white balance accordingly. Neat. 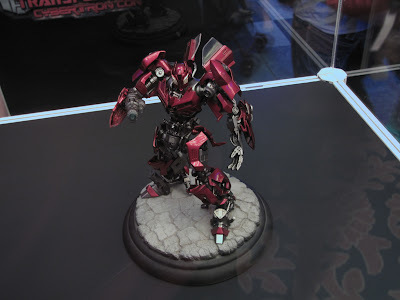 Another example of custom white balance at work. This is a custom Crimson Bumblebee. Nice metallic finish. The big 22-foot (6.7m) tall Optimus Prime statue from the Movies series dominating the convention hall area. 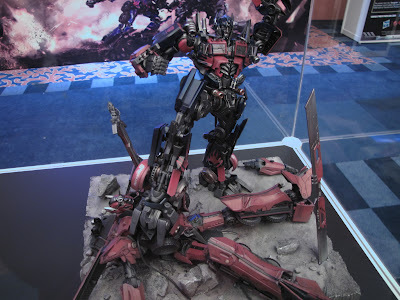 Supposedly this is on a 1:1 scale. 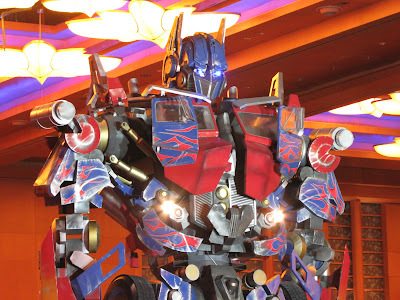 Close-up of the 22-foot Optimus Prime statue. You can pony up SGD $20 (USD $16) to have a photo taken professionally at eye level with Optimus, where you have to climb some stairs and metal strutwork to get up on a platform to do so, or you can take whatever photos from whatever angle you can get from ground level. All in all, pretty decent stuff for Transformers fans to look at. 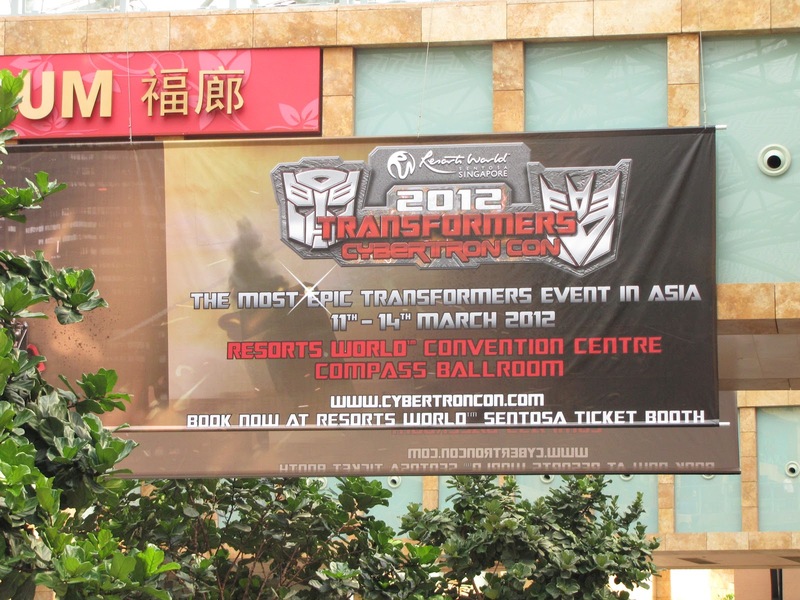 Show going on from 11 to 14 March 2012 at Resorts World Convention Centre, Sentosa, Singapore. There are those of you who know the experience. 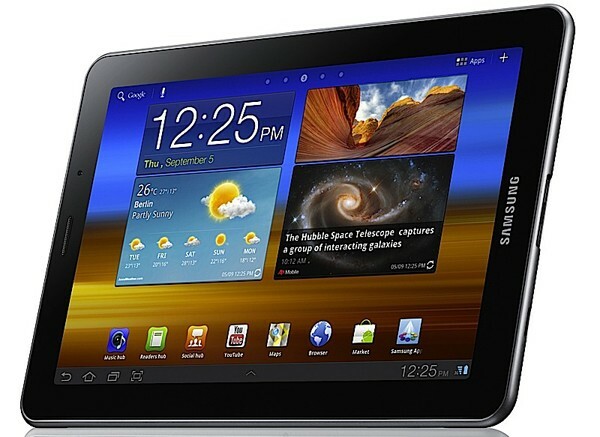 You went out and got yourself a Samsung Galaxy Tab 7.7. You then promptly bought and loaded in a 32GB micro-SDHC memory card. You then install a third-party file explorer or zip manager app. Perhaps it is Astro File Manager, or Androzip, or ES File EXplorer, or my personal all-time favorite for both desktop and mobile, Total Commander. You find that you can read files from your SD card but you always get an error when you try to do a write operation, whether it's copy or move in, delete, or create a new directory. But somehow it works fine if you use the default file explorer. Which you have given up on because, well, it doesn't offer you what you want. Or you just plain don't like the look of it. This is more of an issue with the default permission settings in the Android 3.2 Honeycomb OS than it is an issue with the tablet hardware itself, or your particular SDHC card. This has been known to occur across different tablet models as well, from the Galaxy Tab series to the Motorola Xoom, even to some of the cheap Chinese Android tablets out there. It is 100% a software problem. So no worries about the hardware here. And it doesn't occur on the Galaxy S2 or Galaxy Note which are generally running Android 2.3.6 Gingerbread. Turns out Google had for some reason since Honeycomb 3.2 decided to split the write permissions for the internal memory (the path of which is confusingly named /mnt/sdcard) and external SD card memory (the path being /mnt/sdcard/extStorages/SdCard) into WRITE_EXTERNAL_STORAGE and WRITE_MEDIA_STORAGE respectively. 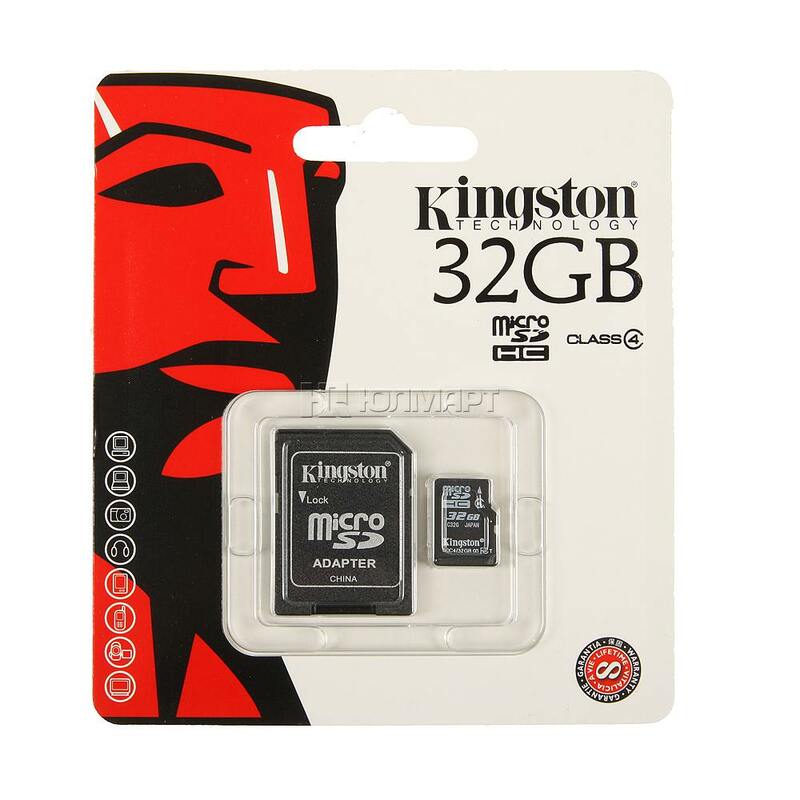 Before Honeycomb 3.2, apps only had to request for the permission WRITE_EXTERNAL_STORAGE and they would have write access to both the internal and external so-called "sdcard" sets of memory. Now, apps have to request for WRITE_MEDIA_STORAGE if they want to write to the external SD card, but many of them have not yet been updated to do so yet. This affects file managers / explorer / compression utility type apps most often because users would tend to use them to copy / move / zip files within the file system. Security theory aside, what's the easiest way to fix this? 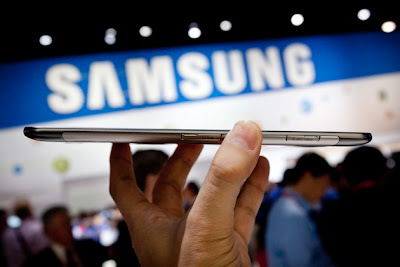 First off, your Galaxy Tab 7.7 needs to be rooted and CWM Recovery needs to be installed. If you're not already there, take a look at the tutorial on how to root the Samsung Galaxy Tab 7.7 which also includes the instructions to install CWM Recovery as well. Next,download the file fix_perms_20120205.zip to your tablet. You can do this via a copy/paste into the Card folder while your tablet is connected by USB, or if you're reading this on your tablet, you can just download it directly into /mnt/sdcard/extStorages/SdCard. Do not unzip the file. Just leave it as a zip file. Finally and here is where you have to do the same thing as when you were trying to do the initial root. Unplug the USB cable (if it is connected) and turn off the tablet (hold down the Power button and select Power Off). Turn on the tablet in recovery mode - hold down both the Power and Volume Up buttons until the tablet turns on, and keep both buttons pressed until the recovery screen comes up. Using the Volume Up, Volume Down and Power buttons, go to install update from external storage, and point it to the file fix_perms_20120205.zip that you had put in earlier. Reboot when done. Once rebooted, your apps should now have full write access to the external SD card memory. Actually what is happening is that when your apps request for WRITE_EXTERNAL_STORAGE, this patch adds the WRITE_MEDIA_STORAGE permission as well, so your file explorer / compression apps will now work as you would expect. You can read up the XDA links in the references if you want the full details of the SDCard write saga or if you would like to know how to accomplish this by yourself manually. 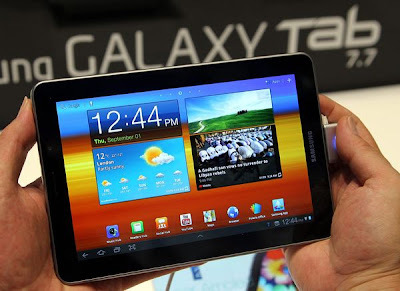 Indications are this method should work for the other Samsung Galaxy Tab series of tablets as well, such as the Tab 7.0 Plus, 8.9 and 10.1, or even the Motorola Xoom or other models, so long as they are also rooted and have CWM Recovery, but hey don't quote me, I have not tried this method on all these other models. Hence the references are all provided below and if you have one of the other Honeycomb 3.2 devices, you can judge for yourself whether you might want to carry this out on your own. 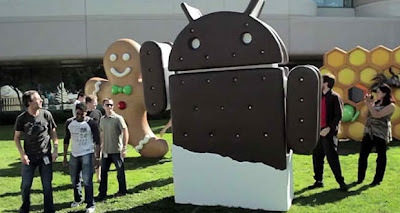 As for Ice Cream Sandwich, it is not yet known whether this bug or ah, "feature" will remain, but latest reports are that, yes, they are going to continue with this separate permission model. Hopefully in the future, more apps would have been amended to include the necessary permission/security settings but in the meantime, users would probably have to continue using workarounds such as this. 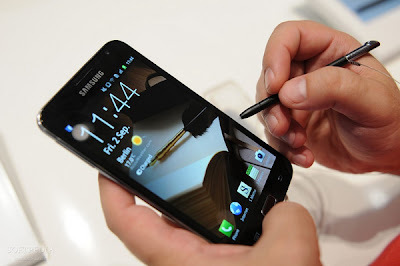 Via the ever-attentive users on the Hardwarezone forums, we have seen reports that the long-awaited update to ICS (Ice Cream aka Android 4.0) for the Samsung Galaxy S2 will be available starting from Sat 10 Mar 2012. 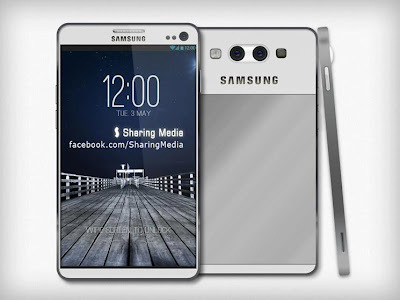 As expected for a start this will be for the international version of the Galaxy S2, model number GT-i9100. This was earlier noted by Engadget which in turn was based on the initial announcement from Samsung themselves. But there has been some concern in the community about some of the remarks, particularly the part in the announcement that said : "Because of ICS OS feature, Adobe flash and Bluetooth 3.0 HS will not be supported in ICS OS (Bluetooth 3.0 is supported still)". At the point of writing, the community is still trying to figure out whether this implies what it seems to (*gasp* no Flash support?!!). 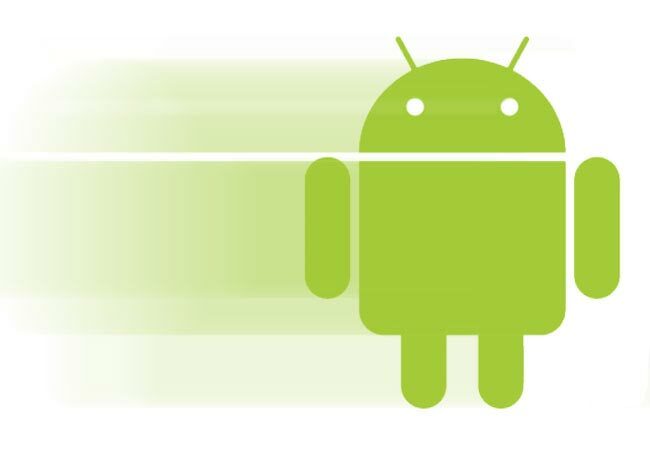 Scattered reports earlier have indicated that Adobe Flash had been working fine on custom ICS ROM's as well as some, ah, leaked ROM's for the S2 with Touchwiz included et al that had somehow made their way out into the wild. It also remains to be seen whether Samsung would in the next few days do a Galaxy S1-like turnabout and declare that all is well, after all. As for worldwide availability that is also not too clear at the moment, though if the same distribution pattern observed for Android 2.3.6 were to apply, we would see the first rollouts appearing in Europe, starting from the UK region, on to Netherlands, Italy, Spain, and then Australia before reaching the rest of Asia, Hong Kong, Thailand and finally Singapore and Malaysia. That is, if the same pattern holds. We'll have to see about that. Whatever the release date is, this might be a good time to go and do a full backup of system+apps+data via Samsung Kies, Titanium Backup Pro, CWM Recovery / Nandroid or whichever is your preferred tool of choice. Just in case that Flash, or Face Unlock, or something else does not entirely pan out, there is always the option to go back. After all, despite most indications that ICS is already pretty much useable, remember that this is a POINT ZERO version after all (you know, as in FOUR POINT ZERO). Small little computers are all the rage nowadays. In the past few days, we've had a bunch of news and product announcements in this area. Here's a roundup of 5 tiny computers that have the ability to entertain, educate or hack their way into your lives. CNet tells us that the launch of the oh-so-cheap Raspberry Pi has led to the crash of all the websites involved from the Raspberry Pi Foundation to the 2 retailers element14 (Farnell) and RS Components that are actually doing the distribution and selling of the devices. Yeah I should know, I was dropping by a friend's company this Wednesday where they were all trying to order a bunch of these to play with. The Rasberry Pi is available in 2 editions (both running on 700MHz ARM11 processors), the $25 Model A and the $35 Model B, the latter of which adds an Ethernet port and 2x USB 2.0 ports, though the Wifi module is not out yet. This is basically a cheap single-board computer (SBC) meant for the educational and hobbyist markets, so you can order one and hack something up with it. That is, when stocks become available after the initial launch-date crush that sold out all the (reportedly) 10,000 units. CNet has separately noted that a company called FXI Technologies is launching what might be termed mid-range for this class of computers, the saccharinely-named Cotton Candy, which like the one by Always Innovating, comes with a USB plug on one end and a HDMI output on the other, plus Wifi and Bluetooth thrown in. This costs a little more than the prior two but by golly, check out the specs, you are getting pretty close to Samsung Galaxy S2 territory here, minus the glorious Super AMOLED+ display of course. The specs include an ARM Cortex-A9 1.2GHz processor, 1GB RAM and a Mali 400 GPU. You get to choose your operating system : Android 4.0 Ice Cream Sandwich or Ubuntu Linux. Sweet. Related to a similar DARPA project, this is perhaps the first actual implementation of a new class of "network munitions" as mentioned by Vernor Vinge in his sci-fi work Rainbows End. 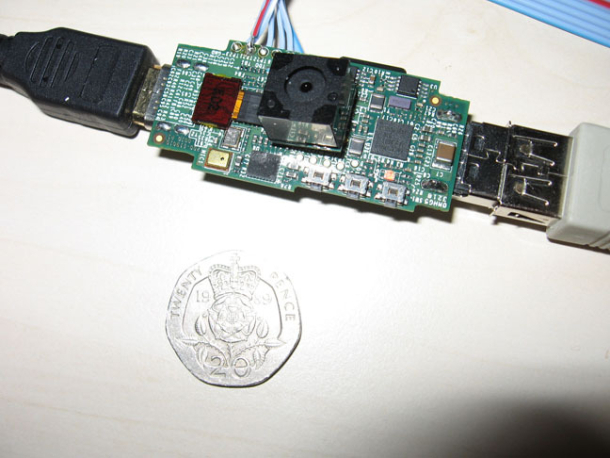 The acronym being "Falling or Ballistically-launched Object that Makes Backdoors", this is a $50 computer that is crammed with 8GB flash, Wifi, Linux, a battery and an optional GPS module, this lilliputian hacker is small enough to be launched, air-dropped, "accidentally" dropped, or stealthily installed in say a smoke detector, where the onboard software can run cracking software to hack into whatever wifi network it detects. Cheap and expendable, this brings a whole new dimension to the term "smart ammo". This came in via Wired. You gotta love the name - if you know anything about computer security at all, you know that "pwned" means "owned" - which is what this professionally-developed device does. 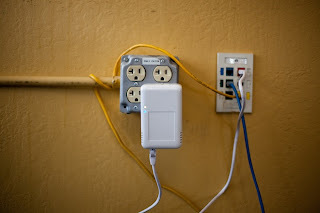 Its motto being "Plug and Pwn", this allows a perpetrator, whether by social engineering or some other means, to plug in a mains-powered Linux computer that quickly sets up a covert, encrypted backdoor *from behind* a corporate network where people from the outside can quickly tunnel in and ... do whatever it is they wish to do, whether it is to conduct a legit system penetration test (if they are the good guys), or all-out cyber mayhem (if they are the bad guys). Prices range from $480 for a basic no-frills version, all the way up to $500 to $600 for 3G or Wifi versions, which enable *wireless* tunnelling. Imagine that. The steps below show how to root the Samsung Galaxy Tab 7.7 GT-P6800. Note that this guide is for the 3G+Wifi version only. For the Wifi-only version, GT-P6810, the steps are similar but you need to get a different copy of the root image. Be sure you know what you are doing, why you want to do this, and before this you should be familiar with your Android tablet in general before you try to go deeper into rooting and other such hackery. 1. 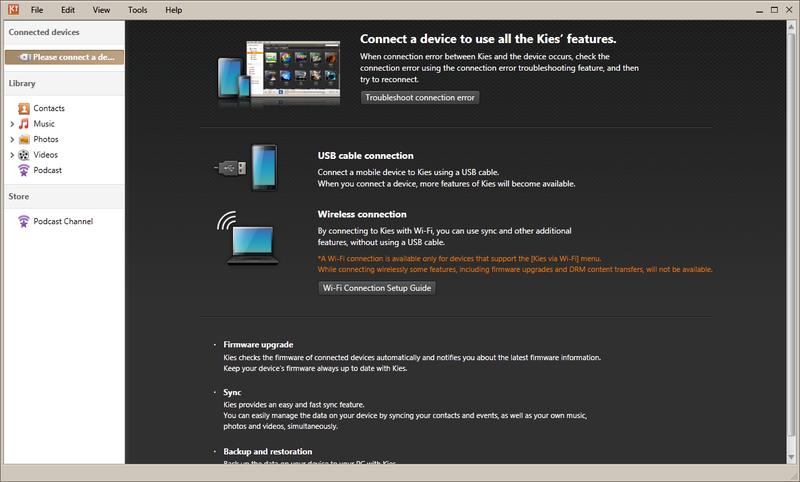 Download and install Samsung Kies if you have not already done so. This will install the necessary USB drivers to talk to your device. 2. 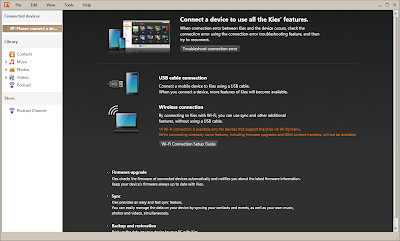 Connect your Samsung Galaxy Tab 7.7 via USB and make a backup with Samsung Kies. This is in case anything goes wrong in the process, you can restore your data from the backup. 3. 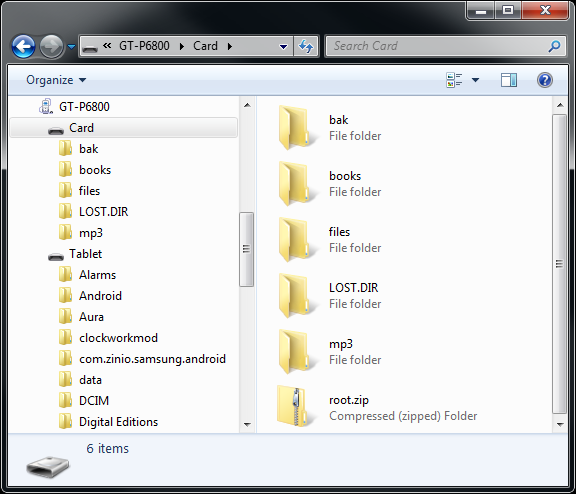 While your Galaxy Tab 7.7 is still connected, download root.zip and do a copy/paste via Windows Explorer under the folder GT-P6800, Card (see screenshot above). In the Android filesystem, this corresponds to the /mnt/sdcard/extStorages/SdCard folder (use this path if you had downloaded the root.zip file directly to your tablet). 4. Unplug the USB cable and turn off the tablet (hold down the Power button and select Power Off). 5. Turn on the tablet in recovery mode. This could be tricky if you have not done this before. Hold down both the Power and Volume Up buttons until the tablet turns on, and keep both buttons pressed until the recovery screen comes up. Some instructions say to release the Power button earlier when you see the device turned on but I've found it does not work half the time. 6. When in recovery mode, select install update from external storage, look for and select the root.zip file using the hardware buttons (Volume Up, Volume Down, Power). 7. Reboot when done. Your device should be rooted. You will see a Superuser icon in your Apps menu. Any apps that require root privileges will bring up a prompt, somewhat like the Windows 7 or Vista UAC prompt that asks you whether you want to allow or deny superuser access. That's all there is to it. Installing the CWM Recovery image is an optional procedure but it had saved me a couple of times with my Galaxy S2 while I was playing with custom kernels and custom ROM's and such. This is a utility that replaces the default recovery module (when you press Power and Volume Up on boot). It allows you to make byte-for-byte backup images of your boot partition, system and user apps and data, and restores the entire system as necessary. Something like what Norton Ghost or Acronis TrueImage do for Windows computers. 1. Download Odin3 v1.85. 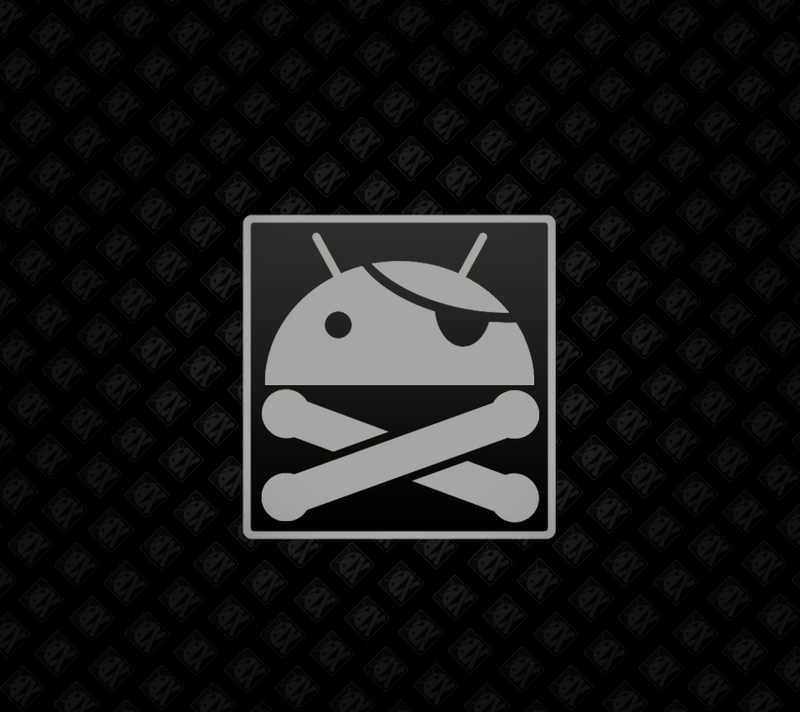 This is a utility that allows you to flash custom firmware and kernels to your Android device. Simply unzip it to an empty directory. There is no installation required. 2. Download P6800_CWM_Recovery_5.0.2.7.tar and save it to an empty folder. 3. Close Samsung Kies. If you have any other application running that syncs mobile phones or other devices over USB, such as Nokia Suite, Microsoft ActiveSync, Zune, or anything similar, close it as well. This is to prevent conflicts with Odin when it is communicating with your tablet. 4. Plug in the Galaxy Tab 7.7 via the USB cable. Turn it off (hold down Power button and select Power Off). 5. Turn on the tablet in download mode. Hold down both the Power and Volume Down buttons until the tablet turns on, and keep both buttons pressed until the download screen comes up. 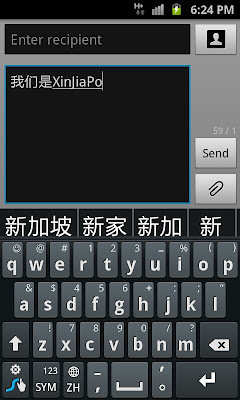 This is different from the recovery mode in the rooting part in Part 1 which uses the Volume Up button. Some people set it in the wrong mode and nothing seems to work. Myself, I had forgotten wholesale on a few occasions to go into the download mode with the same result. If you have booted successfully into download mode, you should see some warning messages and so on. Follow the instructions until you see the waiting to download message. 6. On your PC, run odin3 v1.85.exe. Click on the PDA button and select the path to the P6800_CWM_Recovery_5.0.2.7.tar file you downloaded earlier (see screenshot above). Click the Start button, wait a few seconds for the image to transfer over, let it reboot, and that is it. 7. The next time you boot into recovery mode via the Power and Volume Up buttons, you will see the new CWM Recovery screen instead of the default recovery screen. You can then make full system backups and restores as you wish. Disclaimer and fair warning : this is a compilation and summary of procedures that have worked for many people. It should generally be safe. But I shall not be responsible if your device is bricked or your warranty is voided, data is lost, your device goes up in smoke, etc. Like I said, do this only if you are sure you know what you are doing, and you know why you want to root your device. This compilation of instructions is due mostly to the XDA Developers forum, Galaxy Tab 7.7 section. If you like you can go over there and say thanks to the folks who have made this possible. If you face any issues you might want to ask for help there as well.